As a web agency with a LOT of hosting accounts (we have countless side-projects and like to experiment), we’ve got a pretty good idea of what defines a great web host. These are our best PHP hosting providers, true quality web hosting without breaking the bank. In the old days, web developers created bland, static websites and content because they did not have access to the scripting language that we have now. Because there was absolutely no way to create a dynamic website, web pages contained raw HTML content, leaving developers with very little to work with. It wasn’t until 1995, when Rasmus Lerdorf, a programmer, decided to develop a scripting language to monitor his online resume and relate personal information. He named this scripting language, PHP or Personal Home Page. This became the first glimpse of PHP and all its wonders. PHP is a programming language essential to creating dynamic web pages and content. It originally stood for “Personal Home Page” whereas today this acronym stands for “PHP: Hypertext Preprocessor”. The reasoning for the name change is because the original purpose of this scripting language was for Lerfords personal use. Eventually, PHP evolved into something greater than Lerford probably ever imagined, making it one of the most popular, commonly used, programming language in the world. PHP sparked a change in the world of web developers, allowing them to create dynamic websites with amazing, animated content. It brought along an easy to use framework, with the necessary tools to develop lively, more interesting sites. Before PHP driven websites, hard coded HTML was used, making websites very bland. PHP fixed this problem utilizing a non-static script. A great example of how PHP works in regards to HTML is the login format websites such as Facebook use. In order for users to log into their Facebook page, they must input their login information such as a username and password in two little boxes. The boxes where users input their login information serve as forms. What PHP then does is take the information in the form and takes necessary action. What are some features of PHP? There is not enough room to list all of the features and benefits that PHP offers. Since its foundation, there have been many versions of this language, and programmers still strive to enhance and improve this scripted language. Because of this PHP can about anything whether it be collecting form data, generating dynamic page content, or sending and receiving cookies. This scripting language can be used in web development or embedded into HTML. It can also be used in combination with various web template systems, web content management systems and web frameworks. PHP is primarily available on Linux hosting plans, but is also compatible with other major operating systems including Windows, Mac OS X, RISC OS, and others. Due to its versatility and extremely strong support for a wide range of databases, it is easy to find the best PHP hosting available to suit your needs. PHP exceeds expectations because of it’s easy to use software, consisting of amazing features, and secure technologies. Any level of expertise can use PHP, making it simple to create or add dynamic content to a web page. It is reliable, has an amazing support team of programmers behind it, and comes at no cost. PHP is the ideal programming language to use, being very popular among developers and programmers. Developers have so much to gain from this lightweight resource, making web pages easy and efficient, all while being able to add content from a database to provide fun on all kinds of hosting accounts. This programming language is consistent and well-designed, making the creation process of interactive content smooth and simple. Aside from the endless features PHP offers, it can interact with many different database languages. PHP continues to bring new, cool features to the table. Beginning a new project in PHP is a great start to writing great code, providing good performance, ultimately developing a great PHP setup/website. Many popular websites like Facebook, Etsy, or WordPress use PHP because it is well tested and fully functional. PHP is supported by nearly all web hosting from the cheapest to the most expensive. It is developed with an easy framework making it hard to make errors. Aside from websites, you can also use PHP to develop pdf’s, certain forms of flash, and more. Selecting the best PHP hosting to develop your needs is easy because PHP is compatible with most web hosts. Not only does it set a good foundation, great for all levels of expertise, but it brings websites to life (as opposed to hard-coded HTML websites). Web developers have found that the best PHP hosting is SiteGround. This web host provider stands out from its competition by offering all around great features at a very low cost. PHP is a scripted language essential to creating dynamic websites and content. It was first brought into the world in 1995, when programmer Rasmus Lerdorf decided to develop a scripting language. His main motive was to monitor his online resume and relate personal information, but the world of developers and programmers has never been the same. He named this scripting language, PHP. PHP originally stood for Personal Home Page. The recursive acronym it serves today is PHP: Hypertext Preprocessor. The reasoning for the name change is because the purpose of this scripting language evolved into something greater than Rasmus Lerford probably ever imagined, becoming one of the most common web programming languages available to developers. What is a dynamic web application? Before PHP, web pages relied heavily on HTML, bringing forward the creation of static, non-changing websites. PHP builds interactive, fun web pages, ridding content from the dull and boring sides they would have been otherwise. A dynamic web application provides aesthetically pleasing, enjoyable content and features to viewers. Facebook, for example, is the leading social media networking site among users, consisting of PHP’s programming language. Part of what makes Facebook so popular is its dynamic web application content. Yes. 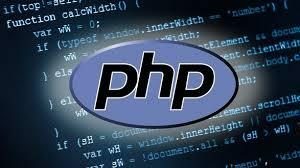 PHP has been around since 1995, opening new doors for web developers while introducing the first glimpse of scripted language and its features. Today, it is used by many developers because of how easy it is to learn and is projected to stick around for many years to come (think WordPress for example). PHP exceeds user expectations, consisting of a large range of amazing features that make it simple to create or add dynamic content to a web page. It is reliable, has an amazing support team of programmers behind it, and comes at no cost. PHP is the ideal programming language to use, being very popular among developers and programmers. Developers, programmers, or anyone who is interesting in creating interactive websites and content, should learn PHP. It is easy to learn, great for all levels of expertise, and projected to remain in the market for many years to come. How do I display static HTLM within a PHP script? Opposed to other programming languages, PHP is designed to work alongside HTML. In a PHP script, you can work between the two, providing easy resources to creating interesting web applications, compared to other scripting languages. Why wasn’t PHP 6 ever released? PHP 6 was never released because the project faltered to meet its ultimate goal. Since it was never met, the progress made within this version was pushed back into a smaller form release of PHP 5. To avoid any confusion, the next generation was named PHP 7. PHP has the potential to provide safe, and secure web applications. Inexperienced developers need to take the time to fully understand this language or else they may encounter security gaps into their websites or applications if they are not careful. With the help of published tutorials, courses, and training, users will gain an understanding of PHP quickly and efficient. Along with this, when newer versions of PHP are released, users of encouraged to update their websites to ensure even more secure web pages or applications. Can I still use previous PHP versions? Yes, previous versions of PHP are still available. In the case of version 4, it is no longer supported officially, and recommended to transition older websites to the newer version 5 or above. PHP 7 is the latest development bringing even faster speed than the previous version as well as a better method to improve error handling, limited Unicode support, and other features. Users are encouraged to transition to PHP 7 to enjoy the new and improved features that it brings. Installation instructions slightly differ depending if PHP is being installed on a Unix, Mac OS X, or Windows system. PHP installation and configuration can usually be found in the website control panel application provided by your host without any additional cost to your hosting fees; confirmation of this is recommended with the host when choosing a plan. We all know PHP as one of the many primary languages that we use for web development and general purpose programming. It is one of the coding languages that gives you the ability to embed code within HTML or HTML 5 markup, for the ease of writing different functions, programs, and tasks. Let’s explore some of the history of PHP and how it came to be. The earliest development of the PHP language began with Rasmus Lerdorf in 1995. Lerdorf had already written a handful of Common Gateway Interface programs in C, which up until that point, he had just used them to maintain the personal homepage of his website. He eventually decided to extend them to be able to work and interface with web forms, and also connected with databases. He intended up referring to this new implement that he had as Personal Home Page/Forms Interpreter or PHP/FI. PHP began being incredibly useful for developing simple and dynamic web applications, that could be used in a variety of different scenarios. Lerdorf then set out to improve the code and accelerate the process of bug reporting, so he announced the launch of PHP/FI as Personal Home Page Tools Version 1.0 in a Usenet discussion group. He shared that in June of 1995. What is incredible is that in 2013, PHP still had the same core abilities that it was designed with in 1995. What is even more interesting is that Lerdorf didn’t mean for PHP to become this massive, new programming language. He just put something that he was using out there into the universe in order to test and improve it. From there, he just kept taking the next logical steps to improve the processes and functionality of PHP. Before he knew it, a development team had formed around him, and a modest man who said he had no idea how to make a coding language was working on creating his own. Lerdorf and the development team launched PHP/FI 2, two short years later in November of 1997. What sets PHP apart from many coding languages is that it was not originally designed to be a coding language. It was a tool that kind of develop organically through the sharing of something useful, which could easily work with and be embedded into HTML. Unfortunately, because it was developed organically in a figure-it-out-as-you-go manner, there were a lot of incongruencies and inconsistencies in naming functions and the ordering of those functions’ parameters. In 1997, Andy Gutmans and Zeev Suraski partnered with Zerdorf rewrote the parser, in order to develop the base of what would be known as PHP 3. After doing some work with PHP, they decided to launch PHP 3 in 1998. The two of them also started to rewrite and redesign PHP’s core, out of which Zend Engine was created in 1999. It was shortly later in 2000 that the newly renovated PHP version and Zend Engine would be fused to create PHP 4, which was powered by Zend Engine 1.0. The team was able to work on this version of PHP from 2000 to 2008 when they reached version 4.4.9 before they decided to halt development with that version, and stopped releasing any security updates for it as well. During the time that PHP 4 was still undergoing updates and new developments, PHP 5 was released in 2004, and was then powered by Zend Engine II. This version of PHP came with several valuable updates that included improved support for programming that was specific to object orientation. It also came with the PHP data objects extension, known as PDO, and other performance modifications that helped enhance the function of the language. 2008 is when many PHP developers started promoting the transition and migration from PHP 4 to PHP 5. PHP was formerly the target of a lot of expert flack and criticism because of they lacked native Unicode support at the core language level. As a result, in 2005 an initiative was lead by Andrei Zmievski to bring native Unicode support throughout the PHP language. He set out to do this by first embedding the ICU library, and then represented text strings as UTF-16, on an internal level. Unfortunately, there was a lack of developers on the team that understood how to make these modifications and resulted in the development of the still non-Unicode updated PHP 6. Then, we finally arrive at the most current language of PHP that we use today (which most hosting companies are now supporting – check our best PHP hosting page for more info). Version 7 was the result of efforts of Dmitry Stogov, Nikita Popov, and Xinchen Hui who set out to refactor Zend Engine so that is could use considerably more compact data structures with improvements to cache locality. Doing so, they were also able to keep almost total language compatibility.